The Answer ALS Research Project entails creating up to 1,000 unique stem cell (iPSC) lines from ALS patients and healthy controls. These stem cells and their derived cells of the brain and spinal cord can be used to model the disease on a large scale, across many variations of ALS. This will allow scientists a deeper look at the mechanisms of a fatal neurodegenerative disease like ALS. The large amount of data collected will serve as a foundation—the largest foundation of basic chemical, clinical, genetic and biological data ever collected in ALS history—upon which to shape fundamental information about patient subgroups and their disease pathways, with the ultimate hope of identifying new drug-able pathways, subgroup biomarkers and disease pathophysiology. Following the initial clinic visit, participant blood samples are de-identified (anonymized) and sent to the laboratory of Dr. Clive Svendsen at Cedars-Sinai’s Svendsen Laboratory. Dr. Svendsen’s lab begins the processes of transforming the blood cells, known as peripheral blood mononuclear cells (PBMCs), into induced pluripotent stem (iPS) cells. Finally, the IPS cells themselves are converted into motor neurons (MNs) –the exact cell type observed to degenerate in ALS. Motor neurons derived from each of our patients can then be sent out to the omics labs to undergo an unprecedented level of interrogation. While producing several iPS cell/ motor neuron lines at a time is reasonably typical for a lab, Answer ALS tasked the Svendsen lab with the goal of scaling-up to handle dozens of patient samples at a time. To accomplish this goal, the Svendsen Lab staffed and equipped quickly to handle this unprecedented workload. To improve outcomes, the lab successfully optimized the process of converting iPS cells into motor neurons with the end result that i) the transformation occurs at an optimal rate and ii) is more efficient – more motor neurons can be generated from each patient. Given the scale of the Answer ALS study, these two accomplishments will make a substantial contribution to our success. For the latest numbers of stem cell lines please check out our progress here. 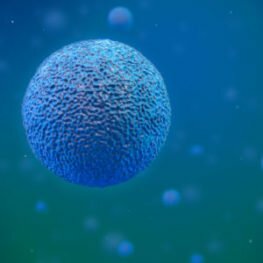 What is an IPS Cell? The Answer ALS research teams derive induced pluripotent stem cells (also known as iPS cells or iPSCs) from participant blood donations to the Answer ALS study. IPSCs are a type of pluripotent stem cell (meaning a type of stem cell that can become any of the cell types that make up the body) that are generated directly from adult blood cells (not embryonic cells). We use the IPSCs to make motor neurons which may then aid in the discovery of factors that either cause or influence the course of disease in ALS. The iPSC technology was pioneered by Shinya Yamanaka’s lab in Kyoto, Japan, who showed in 2006 that the introduction of four specific genes encoding transcription factors could convert adult cells into pluripotent stem cells. Pluripotent stem cells are an excellent tool to help study ALS because they can propagate indefinitely (therefore providing researchers with plenty of material to study) and are derived from individual patients. Patients with ALS may experience highly variable disease courses. The opportunity to study cells that are representative of each individual patient participant with ALS means we may learn more about the factors that contribute to their particular form of the disease—and consequently generate their ALS signature.